With several layers of processes now being considered part of a data center’s infrastructure, any company promoting a “new way to automate the data center” could be playing to the DevOps community, to data center managers, or to CIOs. On Wednesday, Red Hat announced an update to its Ansible Tower automation package — and if you’re immediately thinking, let’s notify the DevOps team, hang on a moment. That’s not the audience that Red Hat is aiming for this time. As Tim Cramer, Red Hat’s senior director of Ansible engineering, told The New Stack, Ansible Tower version 3 is a play for all those IT managers and executives on the other side of the bridge from the typical DevOps users of Ansible Core. To appeal to this managerial crowd, Ansible Tower has been packaged as a type of application. For version 3, the front end has been completely redesigned for a new usage model, amping up the dashboards and data summaries that have already made the real-time analytics market so popular with managers and execs. With the new visualization scheme, the old “wizard”-like scheme of traversing categories has been replaced, Cramer told us, by a two-pane layout that he admitted was partly inspired by the success of Amazon AWS. Categories are listed in a column on the left, and details are presented in a set of scrollable pages on the right. Graphics have been simplified and streamlined, such as in the example at top. He said it should also make life easier for operators who just want the stdout values from Ansible commands. 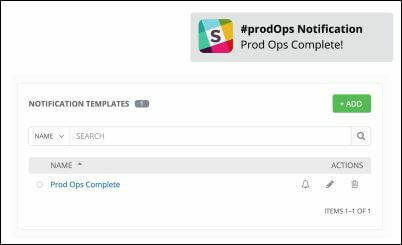 A new round of integration with Slack enables operations team members, their managers, and the Ansible platform to effectively collaborate together, responding to a newly formalized set of notifications as they happen, such as the example at right. For example, he went on, suppose a developer executes code that starts a round of automated tests. When those tests come back positive, Tower 3 can produce a message that may then be consumed by ServiceNow. This way, a production operator can be notified when tests are complete, so she can push that code to production. In recent months, Red Hat has been promoting Ansible Tower to customers’ executives by way of a use case involving specialty clothing retailer J. Crew. At the last few Red Hat events, including the recent Red Hat Summit and the preceding AnsibleFest, Red Hat made the case that Tower produces reports that are digestible by folks outside of operations. But not unintentionally, Red Hat’s Colby Hoke immediately followed that sentence with a mention of tower-cli, a command line interface. You might think that any command line-based tool would be custom made for DevOps professionals only, by default. 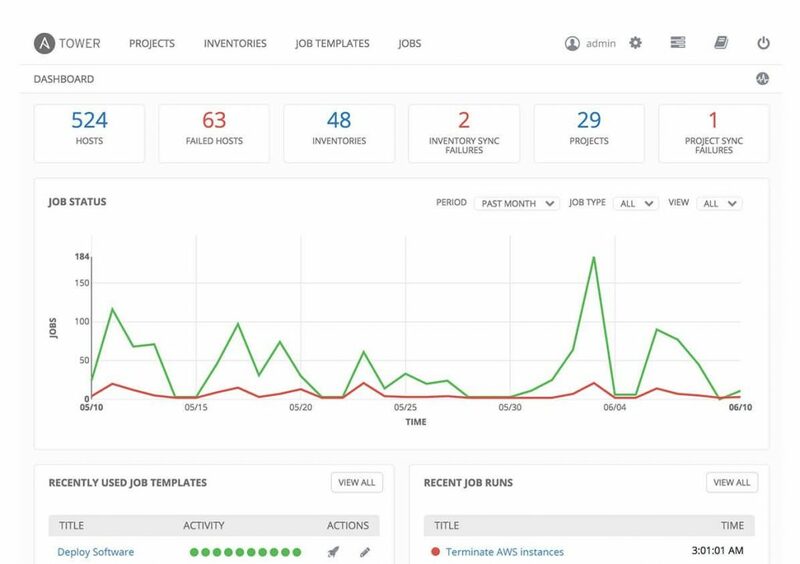 But Hoke made the point that the CLI tool enables Ansible to be integrated with an organization’s existing configuration management and automation frameworks, including Jenkins. That message may be just as interesting for a CIO as the news that reports can be read aloud. Also for Tower 3, he told us, “we now have the ability to automate physical networking.” He’s referring to the ability to address networking switches and other appliances directly, including parts from Cisco, Juniper Networks, and Cumulus — a feature which was added to Ansible Core 2.1 last February. Now, with the ability to address network appliances too old to include their own APIs, the physical networking automation feature helps Red Hat bolster its case in favor of integration — another watch-word that’s close to the heart of Tower’s target audience.